This may not be the craziest or fastest activity you’ve ever partaken in, but it sure will be fun. You and your group will take to the countryside slopes, and slide down 700 metres of winding chutes and tracks in little toboggans. You can sit back and enjoy the buzz, as well as taking in the picturesque scenery that surrounds you – including the breath-taking backdrop of the Visegrad hills. 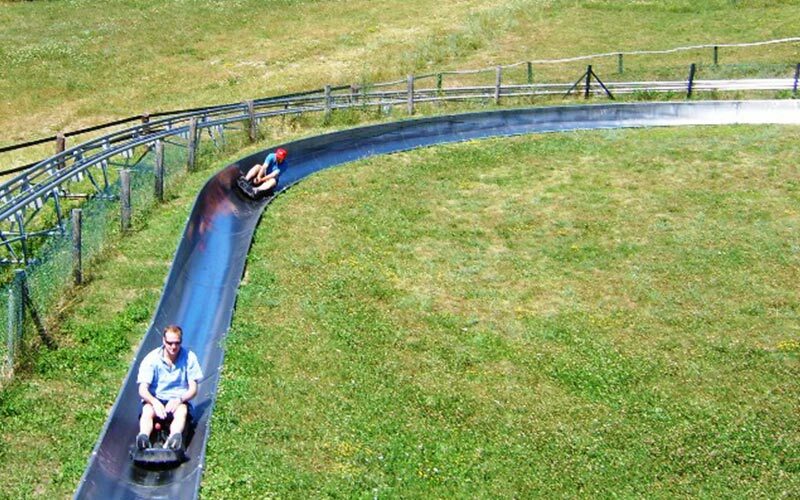 You’ll have 10 slides each, so plenty of opportunity to whizz down as fast as you can, and really work up an appetite for your hotdogs and round of beers afterwards.